In recent years, no sport on the water has gained popularity as quickly as stand up paddle boarding (SUP). 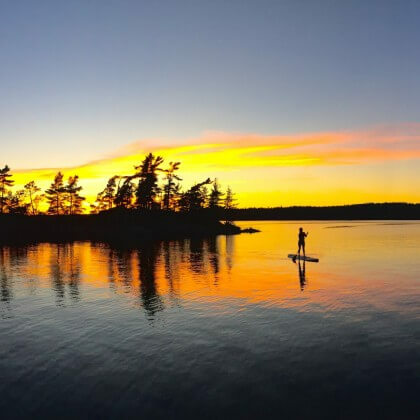 Part exercise, part exploration, paddle boarding has changed the way people traverse the surface of Rainy Lake. 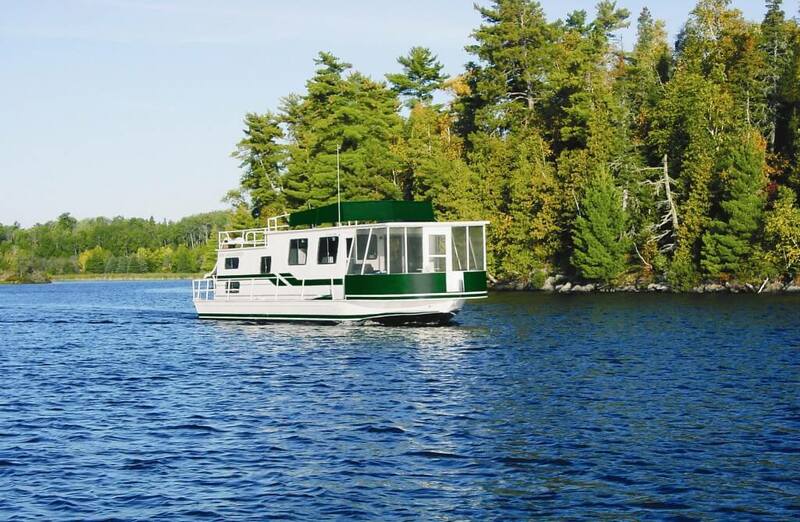 What many people don’t know is that a houseboat provides the perfect launching point for anyone interested in the sport. 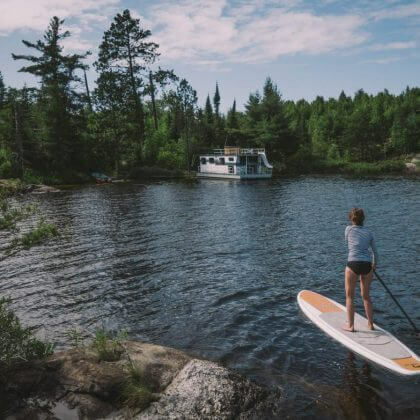 Starting from a houseboat, it’s easy to get a closer look at the sights and sounds of Voyageurs National Park with a paddle board. 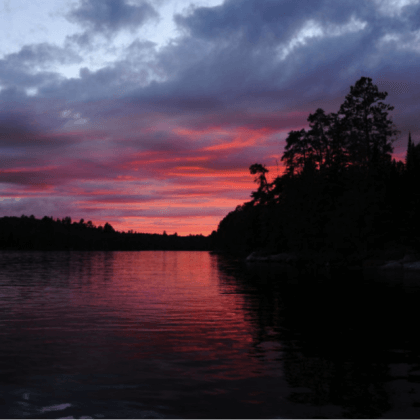 See why Rainy Lake is one of the best places to paddle board in the nation. There may be no better place to take in the Rainy Lake atmosphere than from the surface of a stand up paddle board. 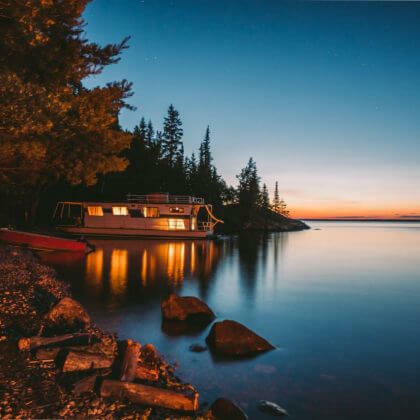 Gliding across the waters of Voyageurs National Park is an experience that’s difficult to replicate anywhere else, and you’re sure to feel awestruck by the area’s natural beauty. Some people use their paddle boards to quickly cut through the water while others slowly drift from one location to another. Rainy Lake provides an exceptional backdrop for paddle boarding at every pace. 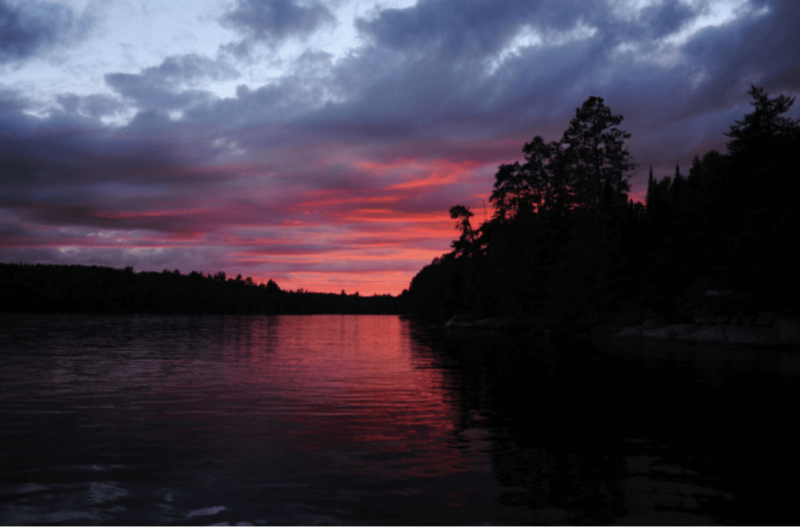 On Rainy Lake, there is always something around the bend that’s worth discovering. Many visitors use touring paddleboards for adventurous sightseeing. Weaving between islands or navigating the shoreline offers incredible glimpses of wildlife that you’re less likely to catch from a motorboat. 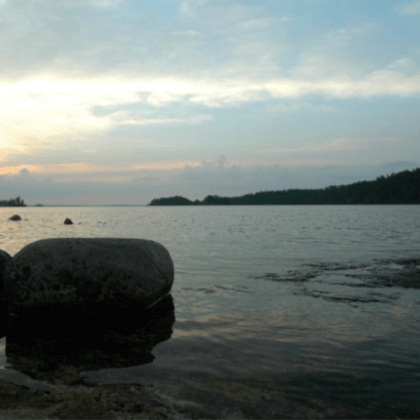 Anglers are increasingly using paddleboards to quietly approach fishing hot spots on Rainy Lake. Traveling across the surface with the agility of a paddleboard allows you to quickly identify the areas with the largest fish populations — you might even catch a glimpse of the fish below your feet! To get the most out of your experience, look for specially-designed angling paddleboards that feature safety mounts to keep fishing tackle onboard. 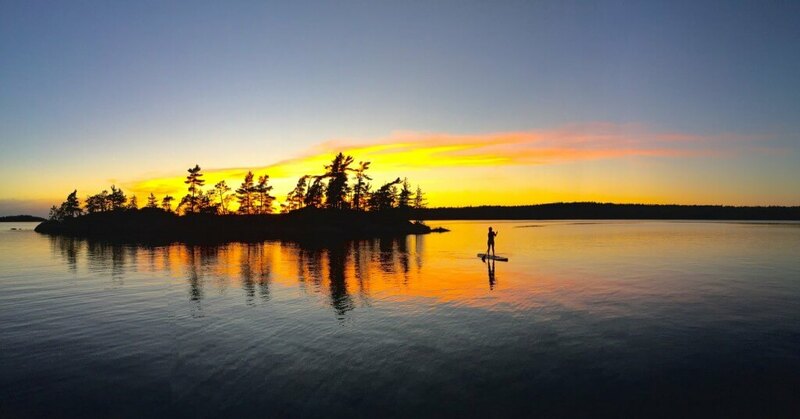 Far from any studio, the tranquil waters at Voyageurs National Park offer a pristine natural setting for yoga on a paddleboard. 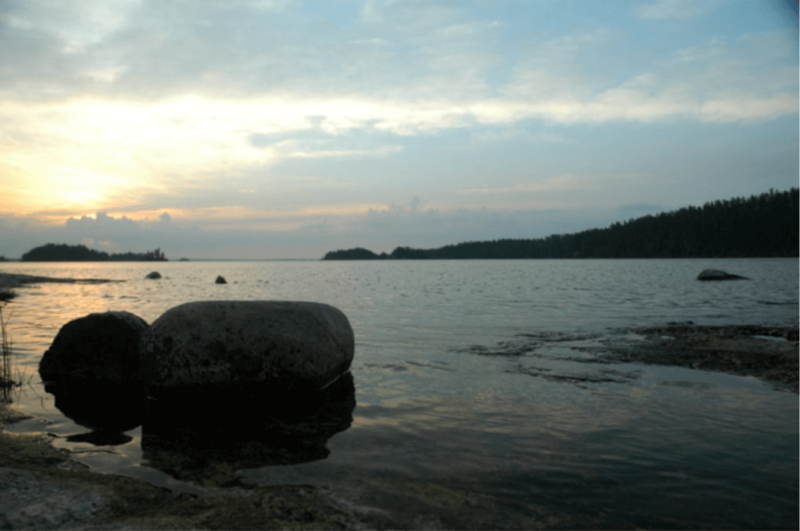 When Rainy Lake’s waters become placid, visitors often shift their focus inward — the peace and quiet amplify their self-awareness. These are the ideal conditions for transformative yoga sessions on the water. 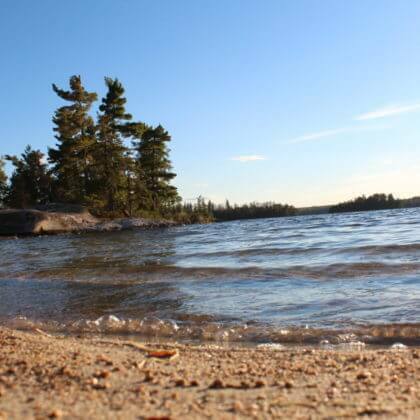 Speed is a top priority for many paddleboarders, and Voyageurs National Park has plenty of space for paddleboard races. Our houseboats are large enough to hold racing paddleboards, which tend to stretch longer than their all-purpose counterparts. 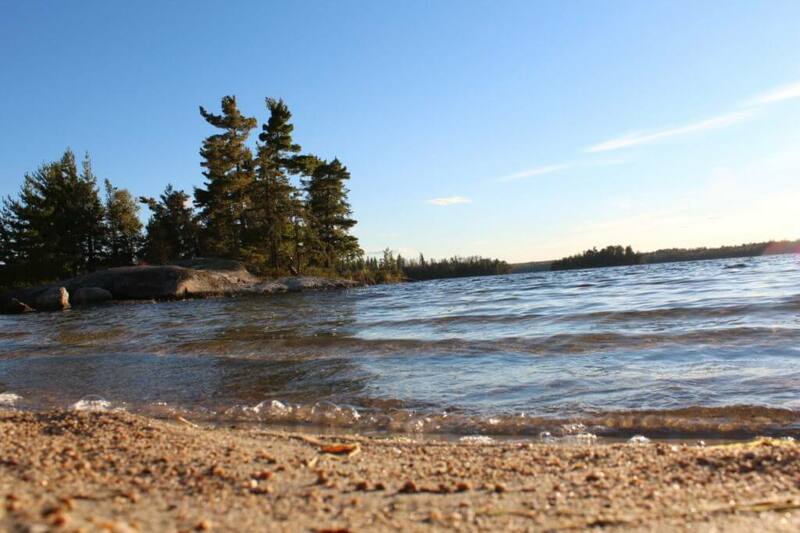 Look for a quiet bay on Rainy Lake if you’re looking to gain speed with reduced waves. Our houseboats are the ideal floating “home base” for the serene paddle boarding escapes you’ve always imagined. 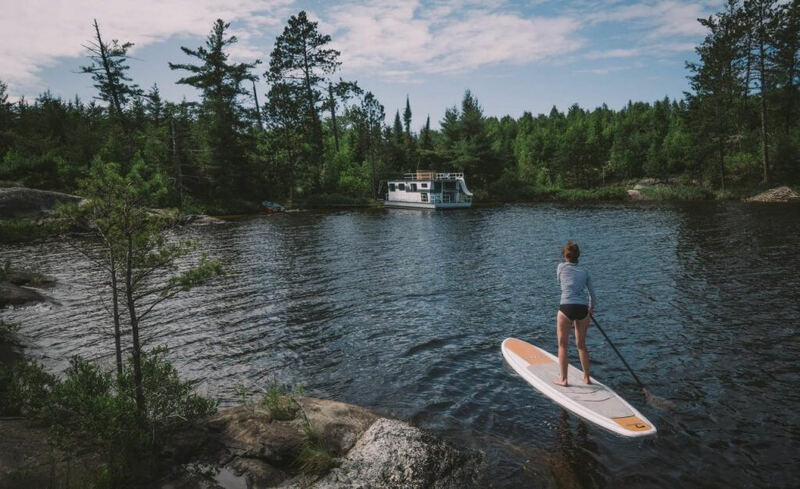 Start planning your houseboating trip at Voyageurs National Park today and get the adventure of a SUP camping trip, without sacrificing the comforts of home. 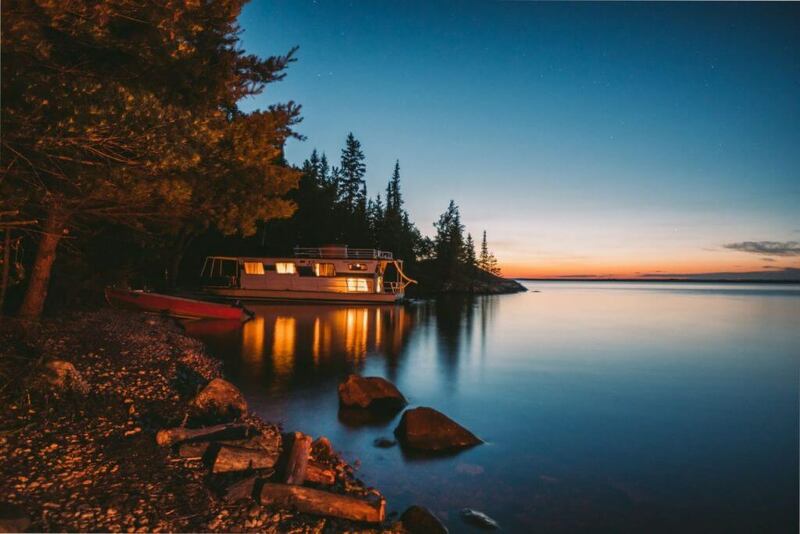 Compare all of the houseboats in our fleet and pick one that suits your needs. Once you’ve found the right boat, reach out to our team to schedule a vacation you’re sure to remember for many years to come.